Robert Lambert does not think a lot of his form for the Poultec Stars so far this season.Picture: IAN BURT. 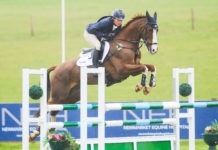 Robert Lambert has vowed to ride himself into form. 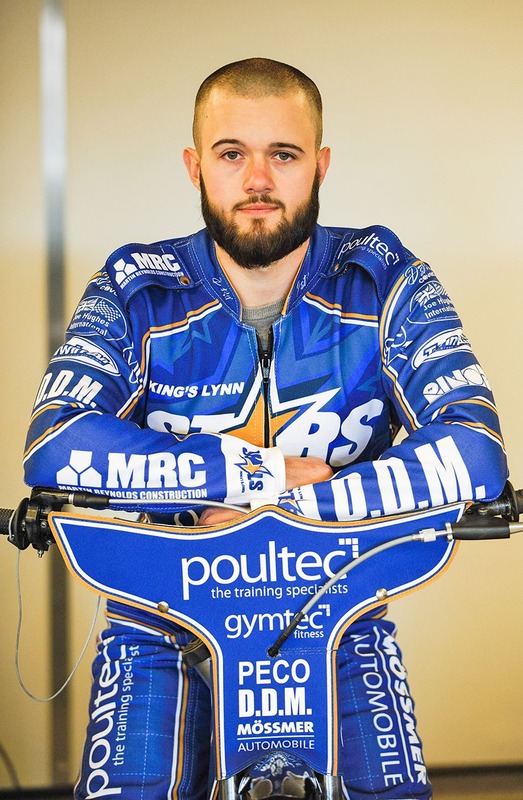 The King’s Lynn captain has made a slow start to the season for the Poultec Stars, despite some encouraging displays with his Polish League club. He struggled at Ipswich and was below his best on Monday against Poole. Now he is looking forward to a revenge mission on Monday when the Witches visit the Adrian Flux Arena. “I think I scored one last place all last season and I got one in my opening meeting tonight,” he said, after Thursday’s opener in Suffolk. “It’s obviously hugely disappointing and I need to sort it quick. I’ve got some problems that I’ve never had before and I need to fix it. I’m learning all the time. I’m not happy about it. “It’s still early days, we are disappointed we lost but we need to stay positive. “We had a fantastic season last year and there’s no reason why we can’t again. “We just need to figure things out. Last season I had the same set-up in every meeting doing the same thing and I’ve come here today and it’s not working. I need to change things. “I feel the best prepared I ever have done, maybe even too prepared. “Overseas I feel perfect on the bike but here I feel rusty. I just feel not so good on the bike here. I don’t know why really. I need to sort it out pretty fast. 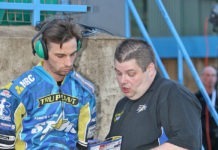 Back to back defeats was not the start the King’s Lynn Poultec Stars would have been hoping for as the new season started badly, reports Chris Milsom. Erik Riss has continued last season’s inspired form. followed by a 10-point loss on home shale against reigning league champions Poole Pirates. The Stars first visit to Foxhall Stadium since 2002 was one the riders will quickly want to forget. From the first corner of the first heat you could tell it was not going to be the Stars’ night as Robert Lambert came to grief and was excluded from the re-run. Then, in Heat 7 Lewis Kerr came down when clear in first place. The Witches dominated the meeting at reserve with Jake Allen (6+1) and maximum man Cameron Heeps (11+1) doing the damage. Only Erik Riss came out of the meeting with any credit for the Stars, scoring 12 points from his five rides in the 59-31 defeat. 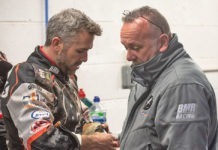 On Monday all eyes were on the Adrian Flux Arena as the Stars looked for revenge on the Pirates after their controversial play-off final defeat last season. In a nip and tuck meeting, where neither team really took a stranglehold, six of the first seven heats were shared 3-3, with the only advantage coming in Heat 2, courtesy of a 5-1 from Nico Covatti and Nicolai Busk-Jakobsen for the visitors. It was another indifferent night for Stars captain Lambert whose struggles continued as the British champion looked well off the pace. Only in one race did he look like the Lambert of old, blazing past Richie Worrall along the back straight to follow team mate Erik Riss home for a rare Stars 5-1. Stars’ hopes again hung on Riss, who seems to be carrying on where he left off last season. He followed up his 12 points at Ipswich with another 11 but ended his night on the shale when he hit the deck going for a big blast round bends one and two on lap two of Heat 15, looking to get the better of Jack Holder and the impressive Brady Kurtz. Acting team manager Scott Campos said: “I think we’re all a little disappointed. We all expected better from us as a team. We were hoping to be in a better position after the home leg but that wasn’t to be. It’s a shame. “Robert is having a few niggling issues. He’s got to go back to basics a little bit and work those kinks out. As soon as that’s sorted, we will have the Robert back from last season. Stars at Ipswich: Lambert 2+1, Riss 12, Proctor 4, Kerr 4, Jorgensen 5+1, Palm-Toft 3, Andersen 1. Stars v Poole: Lambert 4+3, Riss 11, Proctor 5+2, Kerr 4, Jorgensen 9+1, Palm-Toft 7+2, Andersen 0. The Stars will be out for revenge when they welcome Ipswich to the Adrian Flux Arena on Monday, looking to overturn an emphatic 59-31 first leg defeat in the Premiership Supporters Cup, writes Robin Allen. Ipswich Witches travel to Norfolk with confidence flowing after an unbeaten start to the season. They warmed up for their return to the top flight with an inter-league challenge against Leicester. Former British champion Chris Harris made it a debut to remember – scoring a 15-point maximum. The second leg at Foxhall was a much tighter affair with former Witch Scott Nicholls scoring 15+1 for the visitors, but the Suffolk side still came out victorious, winning 98-82 on aggregate. There will be more than pride on the line at the Adrian Flux Arena, with the Stars looking to bounce back from their opening home defeat to Poole, while the Witches look to push their early claim to be the pride of East Anglia.